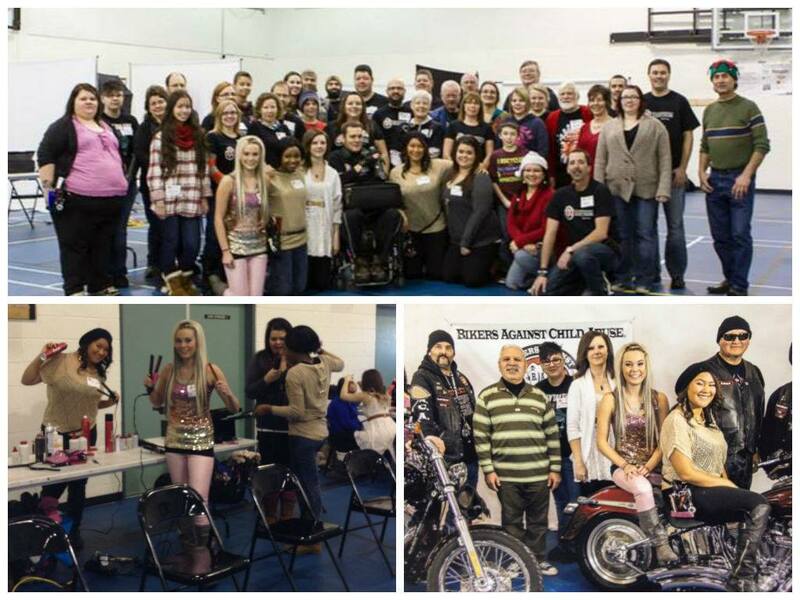 Using their skills to help others, students from Saskatoon’s MC College did haircuts, styles and makeup at the annual Help Portrait event on December 8th. Students and staff gave over 50 people mini makeovers to get them ready for their family portraits. Help portrait is a movement among photographers, hairstylists, makeup artists and volunteers, who transform, capture and deliver portraits of people who are not able to afford family portraits. Every year, MC College partners with students from the Emergency Response Career Pathway program at Centre High, to support Cops for Cancer. 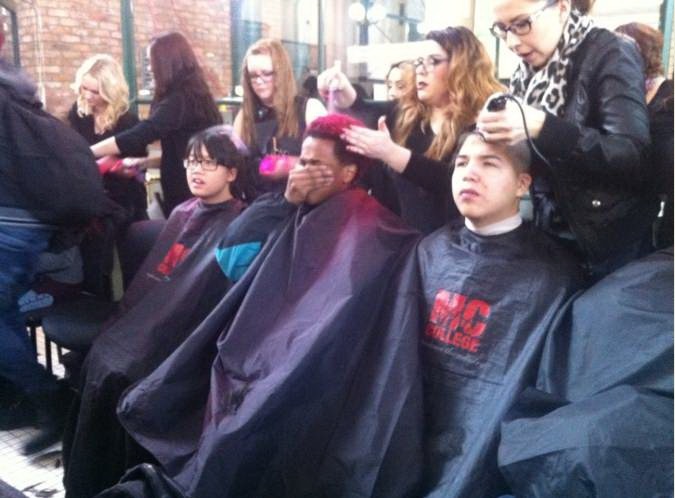 On December 12, between 10am-12pm, students from the Edmonton MC College campus shaved and pinked over 100 heads! On December 19th, students from Red Deer MC College brought an early Christmas gift to the residents of Symphony Senior Living’s, Aspen Ridge. 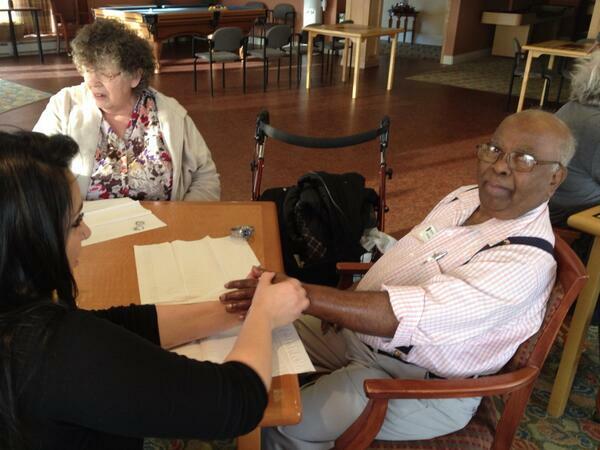 Students did Christmas themed manicures on seniors and participated in the facilities bean bag toss game! Esthetics student, Brooklyn Remple said “I really like visiting with them and they are so grateful for us to be there”. On December 19th, students and staff from Vernon MC College visited the Vernon Women’s Transition House society to give free cuts and mini manicures to the residents and staff. The Vernon Women’s Transition House Society is a nonprofit organization that offers 24 hour emergency services to women who are dealing with issues of abuse and violence. 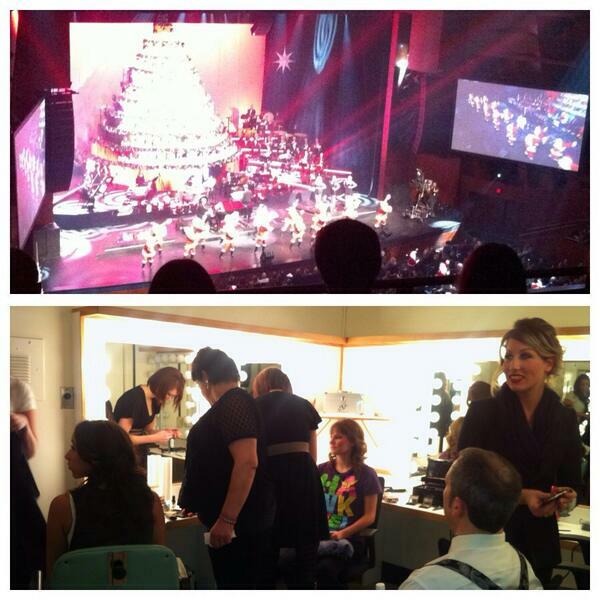 Between December 19 and December 22, students at the Edmonton MC College campus did hair and make up for the performers in the Edmonton Singing Christmas Tree. Every year, MC College students and staff are invited backstage to do hair and make up for local artists and get to experience what it’s like to work at a live event! Accompanied by an orchestra and a 150 person singing Christmas tree, the Edmonton Singing Christmas tree highlights local talent and donates 100% of all proceeds to local charities, organizations and children in need.